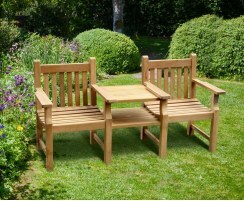 Our Taverners teak garden chairs are solid and stylish, and the wide armrests are useful for resting drinks or sunglasses. 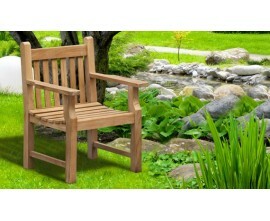 These teak garden chairs are chunky and robust so you know your chair will stand the test of time. 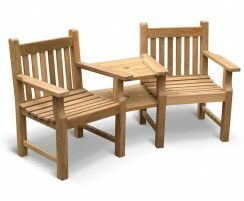 Beautifully crafted from sustainable grade-A teak, these teak garden chairs can be left outdoors all year round with virtually no maintenance. 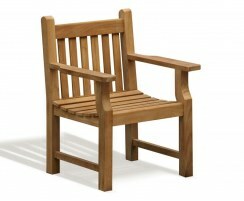 They're weatherproof and rot-proof so your chairs will last throughout the decades. From companion seats to armchairs, here you'll find the perfect wooden garden chairs for your space – browse the range now.